In an ideal world, I would have 9 hours sleep every night and wake up with perfect skin – all naturally glowing and smooth. Um yeah that doesn’t happen though, so I will rely on products – beautiful products – to fake the glow for now. Good things start with good skincare. My skin just seems perpetually dry and needs all of the moisture – I’m talking oils, serums and the creamiest moisturisers. 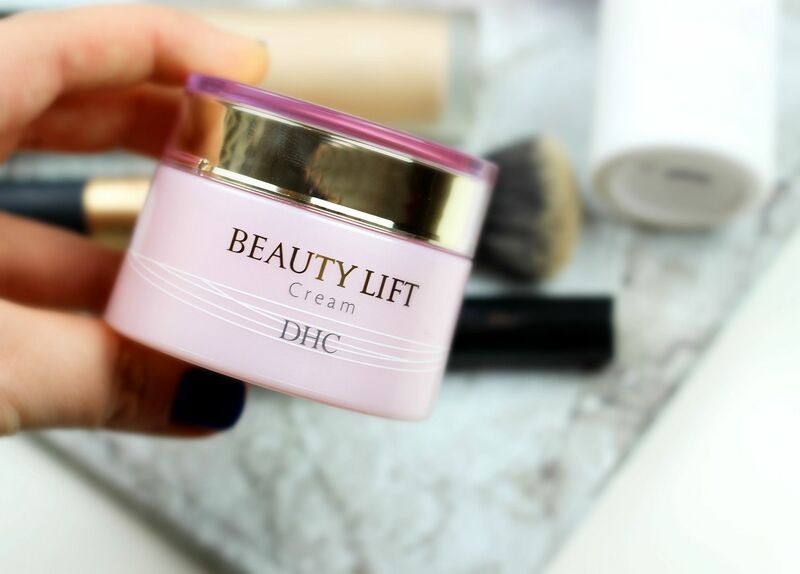 I’ve been testing out the DHC Beauty lift range – I’ve never tried a DHC skin product that disappointed me. The Beauty lift range is designed to smooth out skin and provide long-lasting hydration – yes please. 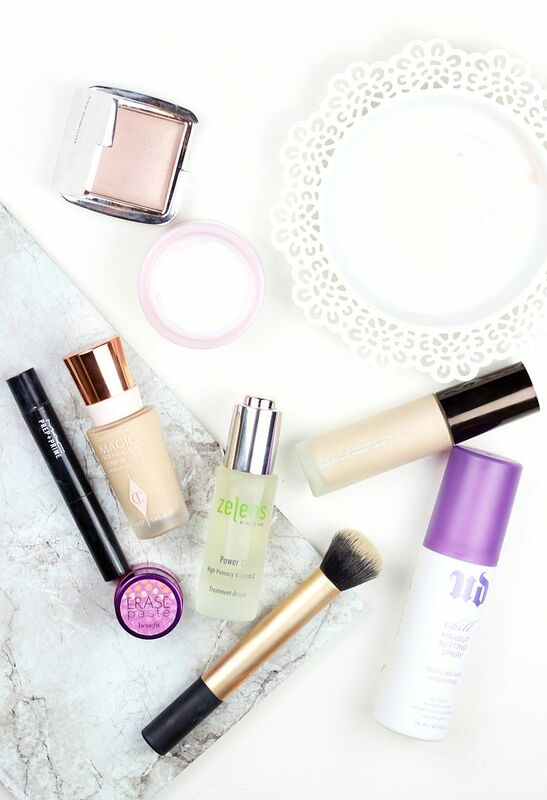 My favourite from the range is the beauty lift cream because it keeps my skin hydrated all day which is rare! 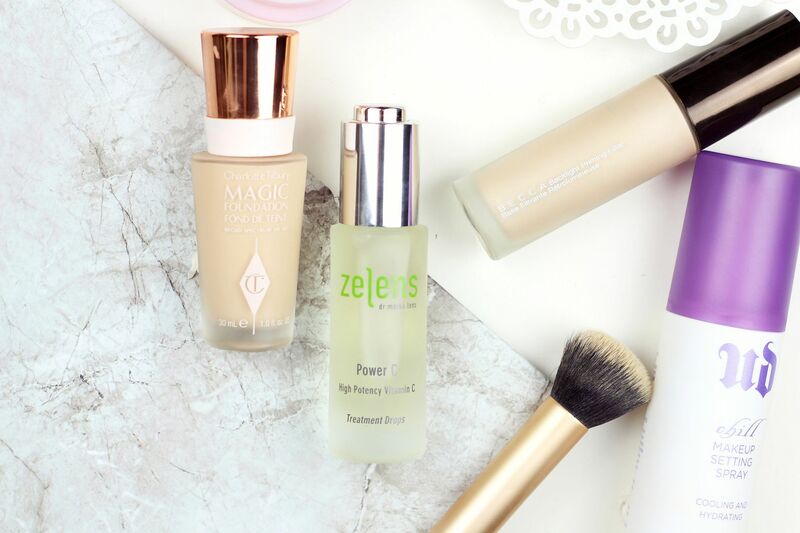 My favourite thing at the moment is mixing one pump of the Charlotte Tilbury magic foundation with the Zelens high potency vitamin C drops. I was lucky enough to recently meet the man behind the brand and learn so much about all his skincare range and try these new drops. I’ve been incorporating them into my skincare routine as well, but this oil is the perfect texture for mixing with any base and the finish gives skin this gorgeous glow. Makes me feel more like wearing my foundation all day is treating my skin, as well as providing protection from free radicals (working in central London is not cool for my skin). Vitamin C is perfect for brightening the skin and adding radiance as well. For concealer under the eyes, the pretty magic combination of the Benefit erase paste to correct any dark circles and the MAC prep and prime in light boost to add some lightness to the face is my current go-to. Two concealers are better than one, right? 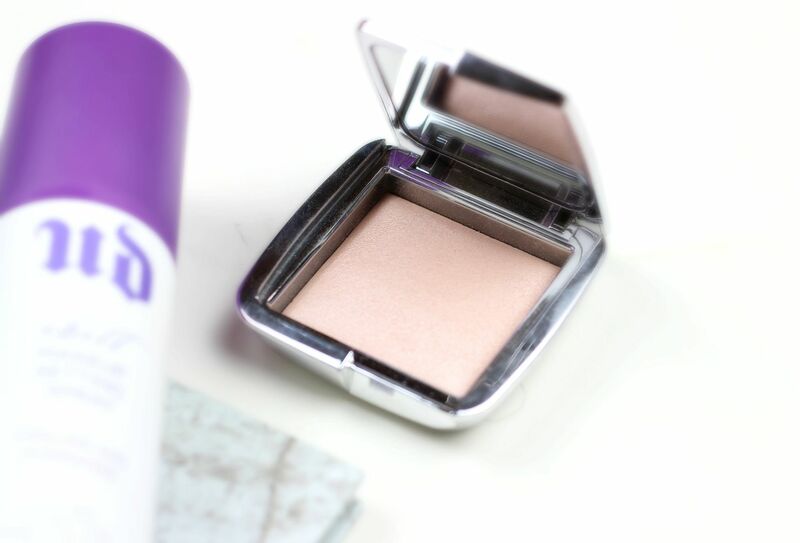 Setting everything and highlighting all over with the Hourglass ambient strobe lighting powder in iridescent light. Lastly, I’ve been testing out the Urban Decay Chill setting spray which is my favourite setting spray I’ve ever tried. This is a must for dry skin. If you liked this post you might like this post on looking sheeny, not shiny or this post on getting the glow.